It is pretty dangerous, you know. How many BBC staff does it take to change a lightbulb? Just the one, it seems – but it must be a safety accredited workman called out at £10 a visit. The corporation’s stringent health and safety regulations apparently ban the average employee from performing the simple task themselves. March 26, 2007 Posted by oldstersview | Uncategorized	| Comments Off on It is pretty dangerous, you know. Uncle Joe is watching you, comrade. And that ain’t good. 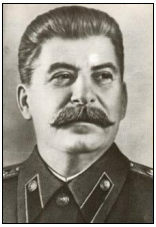 March 26, 2007 Posted by oldstersview | Uncategorized	| Comments Off on Uncle Joe is watching you, comrade. And that ain’t good. Would you spell that, please? A website devoted to part of a Welsh village features in a list of the longest internet addresses in Europe. A Birmingham man registered the 63-character address named after Llanfairpwllgwyngyllgogerychwyrndrobwllllantysiliogogogoch in Anglesey. The address – http://www.llanfairpwllgwyngyllgogerychwyrndrobwllllantysiliogogogochuchaf.eu – actually refers to the upper part of the Welsh-speaking village. It is the maximum number of characters allowed and is recognised as the longest valid internet name in the world. Keith Wood registered the domain name with EURid, the group managing the new European .eu domain. There is also an alternative URL registered for those who aren’t quite up to llanfairpwllgwyngyllgogerychwyrndrobwllllantysiliogogogochuchaf.eu. Try http://www.llanfair.wales.com. March 26, 2007 Posted by oldstersview | Uncategorized	| Comments Off on Would you spell that, please? 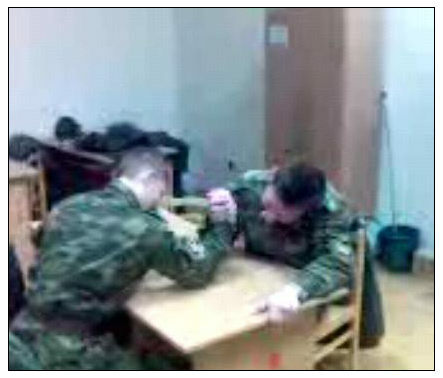 These soldiers take arm wrestling seriously! 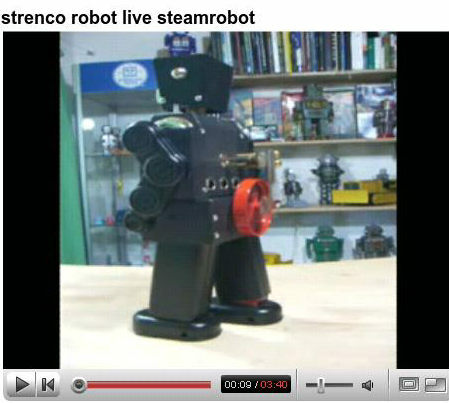 Link to video Scroll down a little. Now THIS is a helicopter! Jereme Tauer Jr. was born at almost 100 mph as his parents hurtled down U.S. Highway 2 in northernmost Wisconsin in a Dodge Neon. His parents, Jereme and Lisa Tauer of Hurley, managed the birth without a doctor, pain medication or even stopping the car. 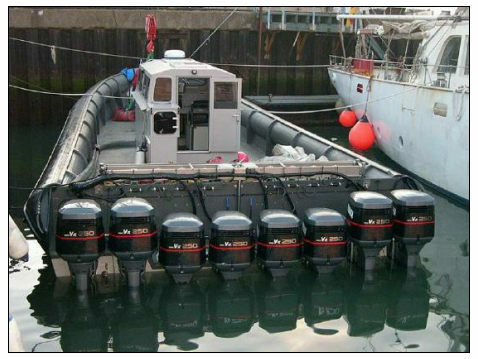 The Navy has a saying for rough weather: “One hand for you and one hand for the ship.” (I won’t tell you the context. You can figure that out for yourself.) In this case it’s “one hand for the baby and one hand for the steering wheel.” There’s more at the link. Bet he didn’t see this one coming. 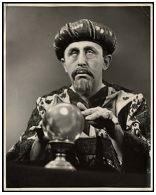 A fire marshal who admitted consulting online psychics at work didn’t need a crystal ball to tell him it was time to resign. Tom Weber, a 22-year fire veteran, was put on administrative leave nine months ago after he was accused of asking an online psychic on a department computer whether he and others would be successful in getting rid of Middleton’s fire chief. Fire Chief Aaron Harris discovered the query, and said Weber had exchanged e-mails with other people seeking to remove the chief. Weber said he’s resigning effective March 31, and denied working against Harris. But he doesn’t dispute contacting psychics on department computers. A computer technician found other communications dating back three years. “Everyone is entitled to their spiritual guidance,” Weber said. March 25, 2007 Posted by oldstersview | Uncategorized	| Comments Off on Bet he didn’t see this one coming. No, honestly. Paper from elephant poo. March 24, 2007 Posted by oldstersview | Uncategorized	| Comments Off on No, honestly. 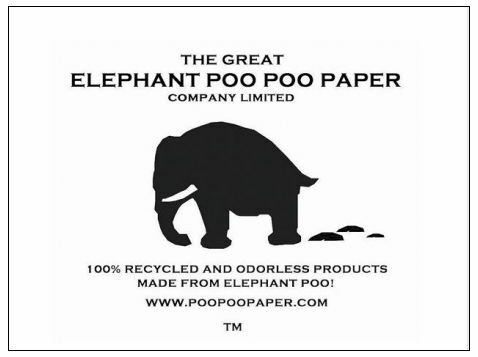 Paper from elephant poo. Babloo Srivastava has spent the last 10 years in a northern Indian prison facing 32 charges, including murder and kidnapping. But that won’t stop him from running in state elections. Srivastava will run his campaign from prison as Uttar Pradesh, a northern Indian state infamous for crime and political violence, heads to the polls next month. 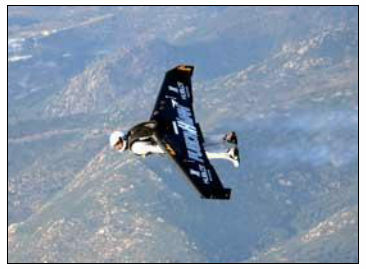 Rossy has to jump from an airplane but once airborne he ignites two kerosene powered jet engines and can maintain level flight for over four minutes at 115 mph. Control is achieved by way of electronic manipulation of the wingtips with two handles attached to the wings. Final landing is done with a conventional parachute. March 23, 2007 Posted by oldstersview | Uncategorized	| Comments Off on Up, Up and whoosh! A Norfolk man is to finally marry a woman whose name he had tattooed on his arm 32 years ago. Andy Cheeseman’s decision to proclaim his love for Annette Law as a 17-year-old appeared somewhat rash when they split up before she had even seen it. After more than two decades and two broken marriages the couple got back together again after a chance reunion through Friends Reunited and Annette was finally able to see the tattoo for the first time. I didn’t know banks were subject to the law. Hm. Maybe they aren’t. Startling new evidence has emerged about how banks overcharge customers who go into the red. Managers at Barclays boasted to an undercover reporter that bouncing a cheque or stopping a direct debit costs the bank as little as £1.50 or £2 to administer. The revelation comes as hundreds of thousands of bank customers attempt to reclaim “illegal” current account charges of up to £40. By law, the banks are not allowed to make a profit from these charges, only cover expenses such as sending a letter. But a reporter for the BBC programme Whistleblower who worked for Barclays heard colleagues admit how customers were hit by charges 15 or 20 times higher than their true cost. March 22, 2007 Posted by oldstersview | Uncategorized	| Comments Off on I didn’t know banks were subject to the law. Hm. Maybe they aren’t. A heat lamp placed inside a dog house (in Ohio) may have started a fire that consumed part of a Pataskala home on Wednesday. Firefighters from West Licking Joint Fire District received a call at 4:26 p.m. Wednesday that smoke was billowing from a home… A passersby or neighbor noticed the smoke and called 911, West Licking Battalion Chief Brad Williams said. No one was home when the fire broke out, and no injuries were reported, Williams said. Marijuana? What marijuana? That’s the latest bagel flavor, sir. A Hamilton, Ont., man faces federal drug charges after he allegedly tried to smuggle about 250 pounds of hydroponic marijuana into the United States on Tuesday with his regular commercial shipment of frozen bagels, U.S. Customs and Border Protection officials announced. Stipan Krak, 49, was bound for New Jersey with the bagel shipment when he tried to enter the U.S. at the Lewiston-Queenston Bridge. Officers found six duffel bags that contained more than 250 vacuum sealed bags of marijuana. March 22, 2007 Posted by oldstersview | Uncategorized	| Comments Off on Marijuana? What marijuana? That’s the latest bagel flavor, sir. Chopin’s piano found in England — cool! The grand piano Frederic Chopin took on his last concert tour has been found in an English country house thanks to detective work by a Swiss musical scholar. “It came as a bolt from the blue,” said British collector Alec Cobbe after discovering that the piano he bought 20 years ago for 2,000 pounds is a piece of musical history. For more than 150 years after the composers death, Chopins piano vanished until Professor Jean-Jacques Eigeldinger researched the ledgers of French pianomaker Camille Pleyel. The scholar, who had met Cobbe at a Chopin conference, came to see the collector armed with details of where and to whom all the Pleyel pianos were sold. By its serial number, he was able to identify Cobbes piano as the one the Polish-born composer brought to Britain on a farewell tour in 1848. March 21, 2007 Posted by oldstersview | Uncategorized	| Comments Off on Chopin’s piano found in England — cool! A Chinese man says his cat can clearly pronounce his own name. Mr Sun, from Beijing, says two-year-old Agui says his name when he gets frightened. Mr Sun says that from then on, Agui has said his own name whenever he is frightened. “At bath time, when he gets a shot from the vet, or gets scared playing outside, he cries out, ‘Agui’,” he added. The Fangzhuang Pet Hospital has filmed Agui saying his name when Mr Sun pretended to give him a bath. A hospital spokesman said repeatedly hearing his own name would have made an impression on Agui which comes out under stress. “If the owner can give him systematic training, the cat should be able to speak more Chinese,” a spokesman claimed. It used to be that Eastern Europe was the main source of strange news reports but clearly China is catching up in this area too. Hmmm. 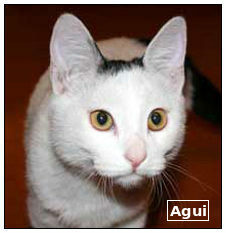 I wonder if the English translation of “Agui” is “Meow”? 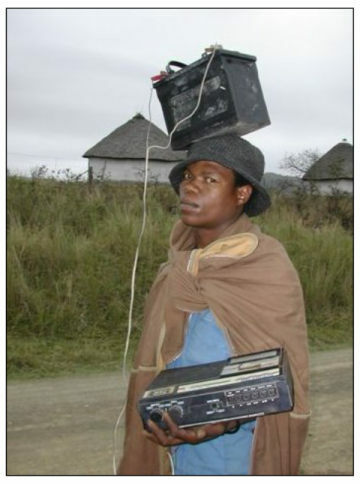 Is your MP3 player battery always running down? Take a tip from this man. He’s got the problem solved. Police have been criticised in Holland after officers halted a funeral procession to carry out breathalyser tests. The mourners had just left the church in Enschede and were on their way to the cemetery in Usselo. The hearse and the four following cars were allowed to drive on. But ten cars driven by family and friends were pulled over and many arrived too late to attend the burial.